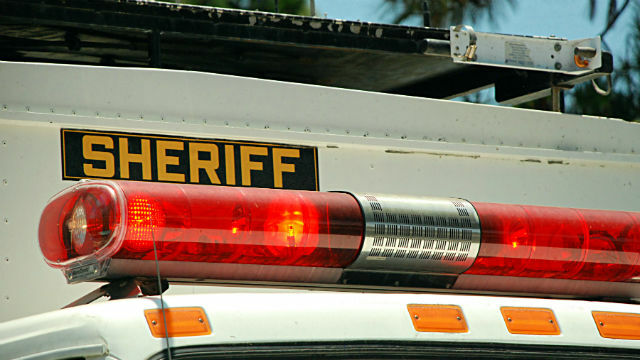 A man was injured in what is believed to be a gang- related shooting in Vista early Saturday, sheriff’s deputies said. At around 1:20 a.m., dispatchers received multiple calls about a shooting in the 600 block of Townsite Drive, San Diego County Sheriff’s Sgt. Nathan Rowley said. Deputies found a 37-year-old man with two gunshot wounds from a small caliber weapon, and gave the man medical aid until paramedics arrived. The man was taken to Palomar Hospital, where his injuries were determined to be non-life-threatening, Rowley said. Narcotics and gang detective were investigating the shooting. Deputies confirmed the incident is believed to be gang-related. No description of possible suspects was available, but a dark, newer- model Dodge Durango is believed to be associated with the attack, Rowley said. Deputies asked anyone with information on the shooting to call the Sheriff’s Department at (858) 565-5200, or the anonymous Crime Stoppers tip line at (888) 580-8477.